At our dentist office, we are happy to wish all our patients a Happy Halloween! 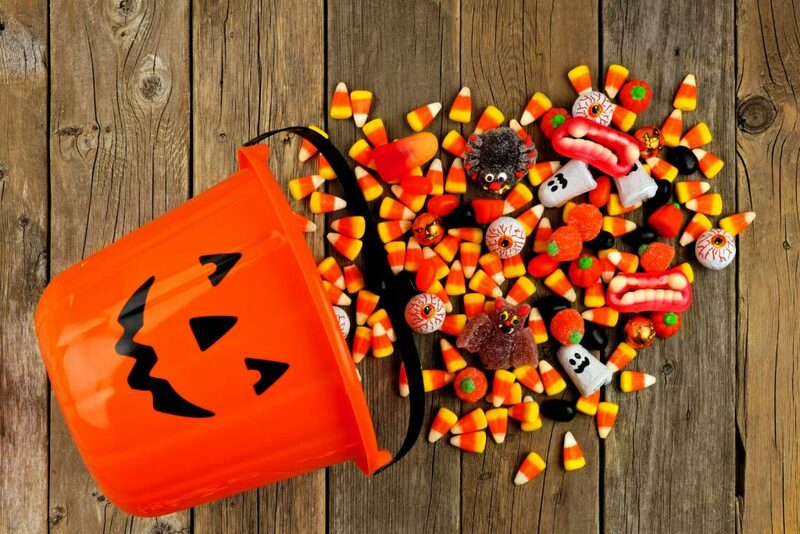 As your family dentist in Ballwin MO, we know that Halloween is a time filled with many tricks and treats. This is a time when candy is everywhere as well as caramel apples and other goodies. While we know that everyone deserves to treat themselves now and again, we also know the dangers of consuming a lot of sweets when it comes to oral hygiene. At Postol, we commit ourselves to giving our patients a high-level of care. We are also invested in giving our patients education on ways to make good oral hygiene choices. 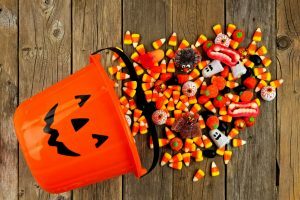 We have compiled this list of tips to help our patients mitigate risks that come along with eating Halloween candy and other sweets. Of course, still enjoy some sweets, but these tips will help keep your teeth healthy. You can also apply those tips when it comes to help your kids keep a healthy mouth during this Halloween season. Eat Halloween candy with meals or shortly after meals. Saliva production increases during meals which can help cancel out the acids produced by bacteria. Avoid hard candy and sweets that remain in your mouth for a long time. These snacks can increase risk of tooth decay as the sugary food stays in your mouth for a longer amount of time. These candies can stick to your teeth and take longer to wash away with saliva. This increases the risk of tooth decay. Water can help prevent tooth decay, especially if it contains fluoride. Drinks that contain sugar such as soda and sports drinks can be really bad for teeth. These drinks keep teeth in contact with sugar and that can increase the risk of tooth decay. This risk increase a lot if you sip sugary drinks throughout the day. If you or your child is in need of a cleaning after all that candy, we are happy to help. At Postol, we will be happy to schedule an appointment at a time that works best for you. This time of year is optimal for checking for cavities and other oral health problems.